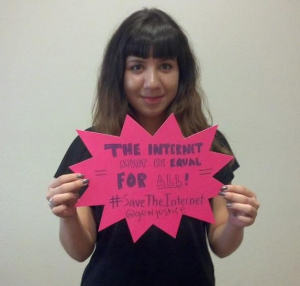 On July 12th, the Internet came together to save Net Neutrality, and to stop the new FCC Chairman and former Verizon lawyer Ajit Pai’s plan to destroy net neutrality and give big cable companies immense control over what we see and do online. In Albuquerque – Generation Justice gathered outside of the local Congressional offices and asked for our elected officials to release statements of support for net neutrality. GJ was a leading organization in the campaign to reclassify the internet as a utility and stop major telecommunications corporations from creating “fast and slow lanes” on the internet, which would threaten activists and communities of color. 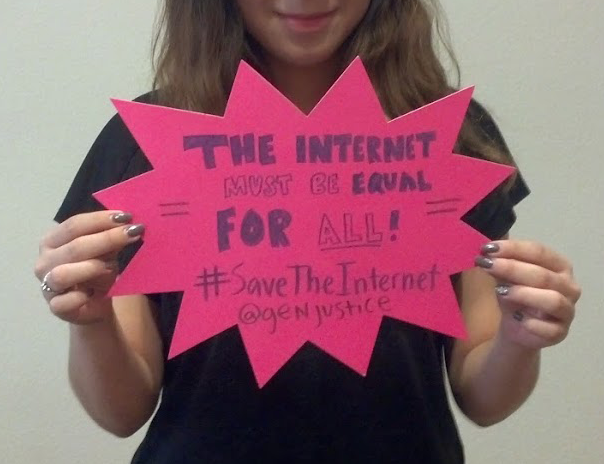 Months before the historic FCC vote to reclassify the internet, Generation Justice was one of the organizations in New Mexico who helped organize a critical town hall with FCC Chairman Tom Wheeler.